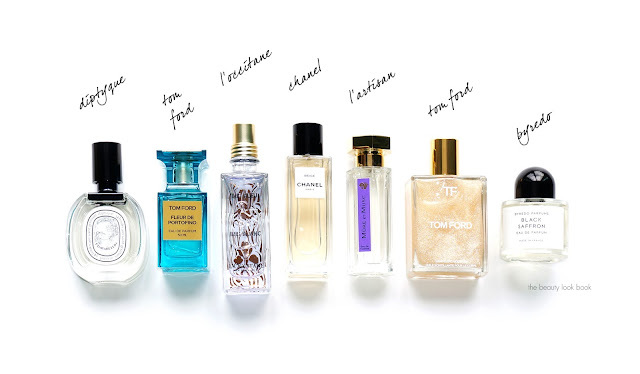 Today I have a roundup of some of my favorite spring fragrances for right now. I have a mix of newly released fragrances alongside some classic staples. Purchasing fragrance is something I used to be so intimidated by. I found the options overwhelming and didn’t understand notes. 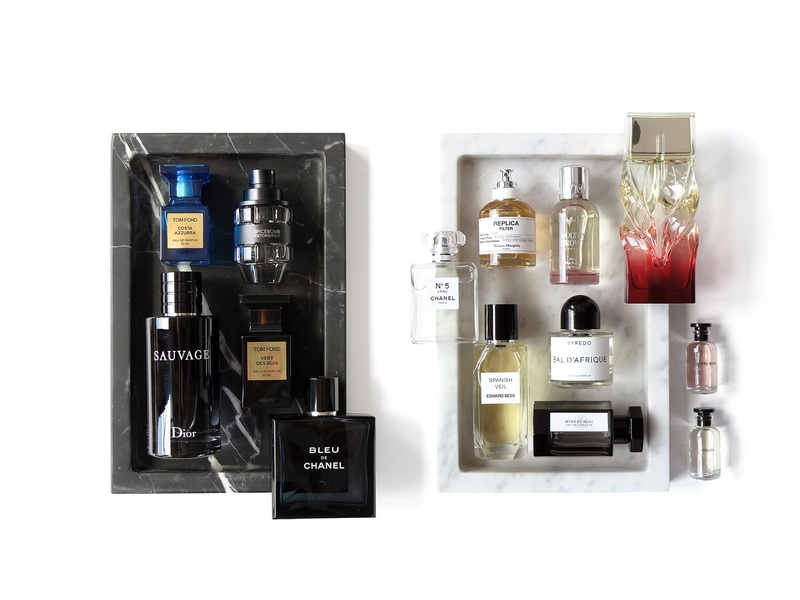 When shopping I always used to say, “I prefer something light.” These days I’m not as timid in trying fragrances although I do prefer scent that are on the light fresh and floral side, sometimes with a bit of spice or amber mixed in. I think the best way to shop with fragrance is with a friend so they can give you a second opinion on the spot. It’s something that can take time – if you’re like me your nose can probably only take so many sniffs in one session. 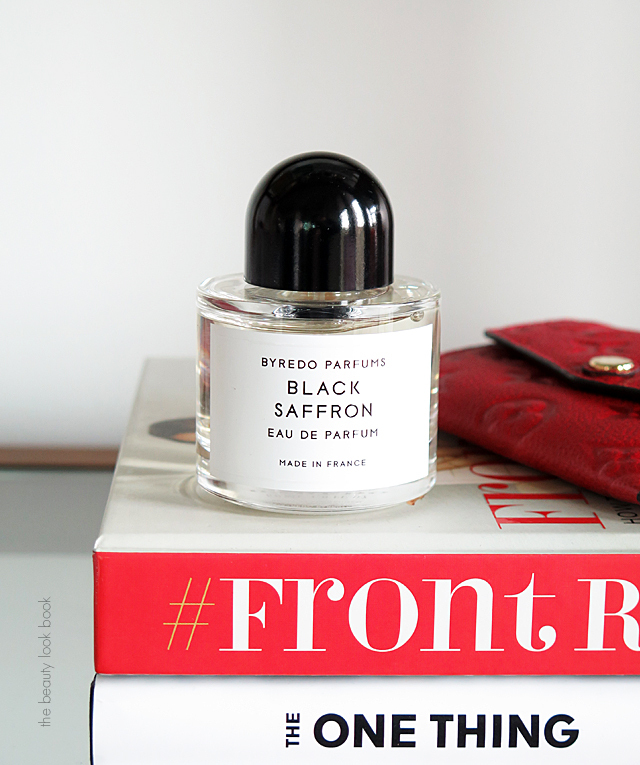 I like to browse reviews or new releases online and often make a smell list and take it to the counters with me. What I’m loving right now listed below. Diptyque Florabellio Eau de Toilette is a mix of apple blossom, sea salt, fennel, apricot-scented osmanthus mist and a hint of coffee. It’s a sweet floral with a very slight musk feel. I like that it’s light and refreshing and sweet but not too sweet. The coffee and sea salt give this one a bit of a more complex feel and prevents it from being too floral. Full review here. Tom Ford Fleur de Portofino Eau de Parfum is the latest from Tom Ford and is new for summer. I have been a huge fan of the Mandarino di Almalfi for a bright citrus. I have a small decant of the first one released Neroli Portofino which is a stronger and deeper version. All three have a very similar vibe. The Mandarino is the brightest and most citrus. Neroli has more musk making it more unisex. The latest Fleur de Portofino has White Acacia Honey in it which gives it a more feminine feel and makes it less citrusy (but the citrus is still noticeable). 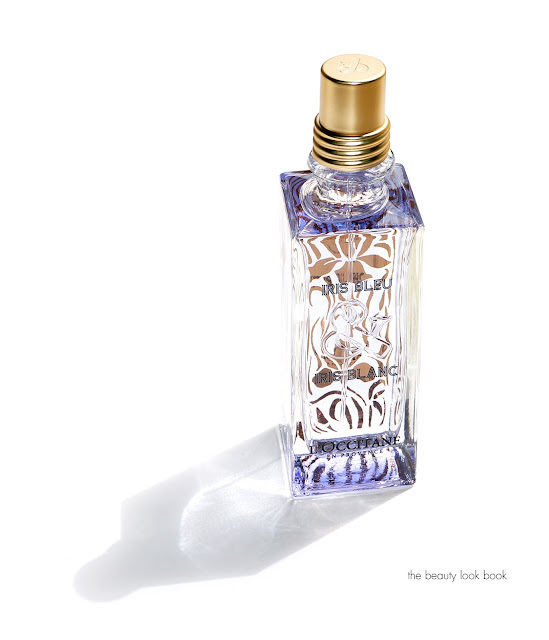 L’Occitane Iris Bleu & Iris Blanc Eau de Toilette is the latest addition to the La Collection de Grasse line. It’s described as a velvety iris and has a mix of both blue and white iris. This one is predominantly floral and is very sweet. Lasting power and strength seems to be much stronger than the other fragrances from the line. It’s a fragrance that feels like pure spring. It’s also available in some cute sets like the Mini Fragrance Set, Iris Bleu and Blanc Duo, and the Iris Bleu and Blanc Collection Set. Chanel Beige Les Exclusifs de Chanel is my husband’s current favorite on me. It took me forever to splurge on a bottle and I can see myself wearing this one for many years to come. It’s described as having “Hawthorn, Freesia and Frangipani, with shimmering hints of honey” and I can’t think of better words to describe it. It’s the perfect floral and honey mix. The honey isn’t overpowering so it’s not overly powdery or sweet. Full review here. 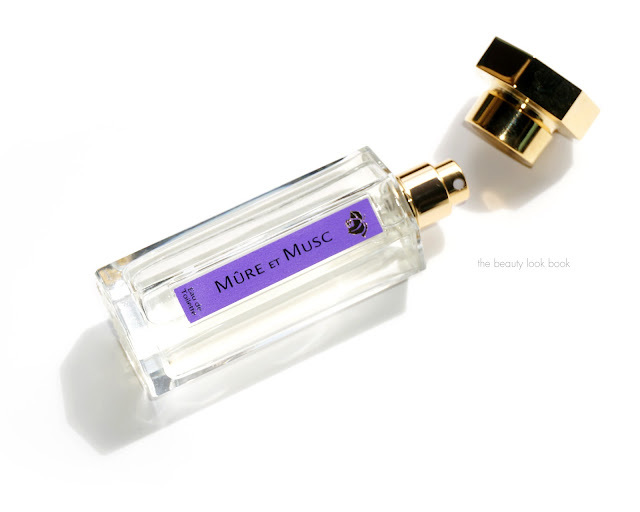 L’Artisan Mûre Et Musc is my husband’s second favorite and one of my top picks in terms of fragrance. I bought this based on the recommendation of one of my long-time friends Laura. She’s a fragrance aficionada and my go-to when it comes to fragrance recommendations. It’s my most repurchased scent. I always try to buy the smaller 50 ml size even though the 100 ml size is a better buy. This is one of the few sweet blackberry scents I can wear without getting a headache or feeling like I am wearing a fruit smoothie. It has a mix of black berries, red berries and musk. The musk is pretty strong in this one it dries down to a soft feel. If you like blackberry scents you might also want to look into Jo Malone Blackberry and Bay. I prefer the L’Artisan because it’s not as sharp or sweet. Tom Ford Shimmering Body Oil isn’t a traditional fragrance but I’m completely in love with this one. I don’t typically like shimmer or glitters but this body oil smells so incredible I am doing everything I can to make it work. This sprays a fine mist of tiny glitter particles but it’s not overly glitzy. The body oil has a mix of white florals and amber sandalwood which I love in scents. My husband prefers florals on me rather than sandalwood or amber and this is the first scented product I’ve found that he approves of on me. It smells like summer in a bottle. and base notes: Blond woods, raspberry, vetiver. 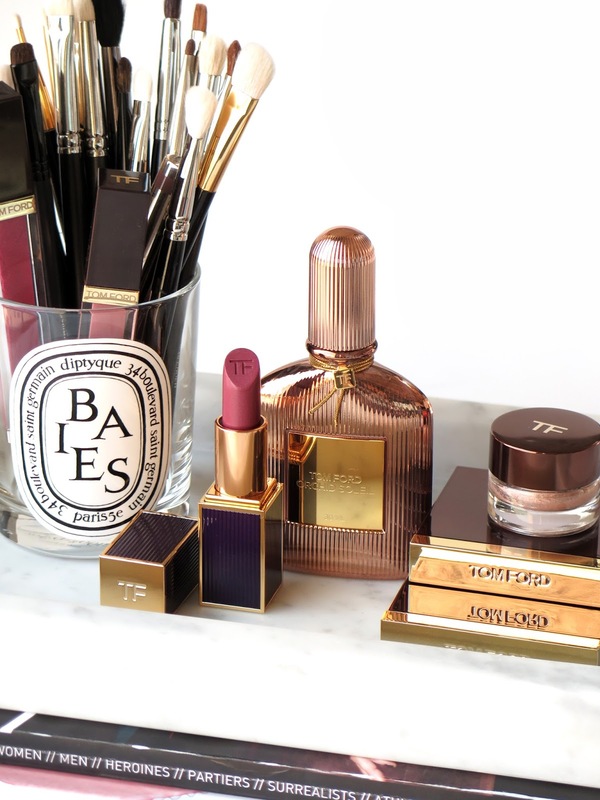 I have the travel size vials on my wish list. 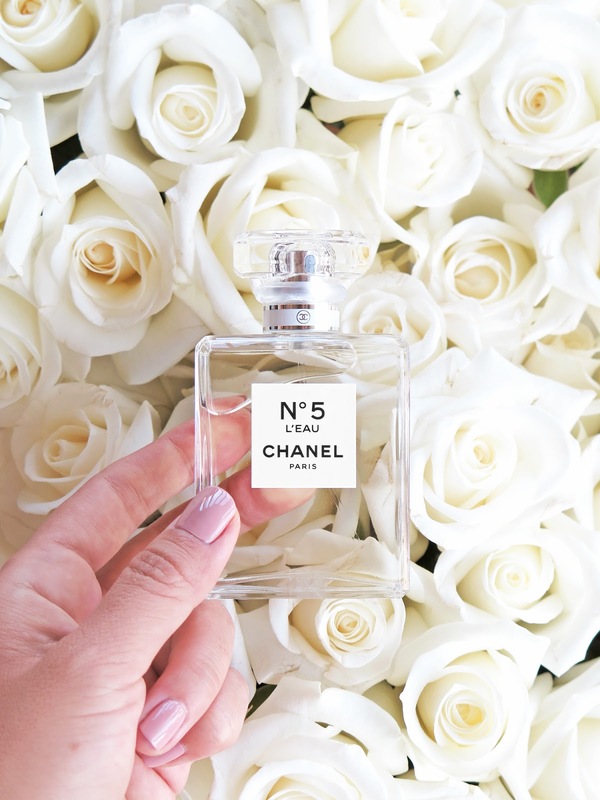 Do you have a go-to scent this spring? I’d love to hear about your tried-and-true staples or any new discoveries. I’m always looking for recommendations! The L’Occitane and Diptyque scents were provided as courtesy press samples for review consideration. All others purchased by me.